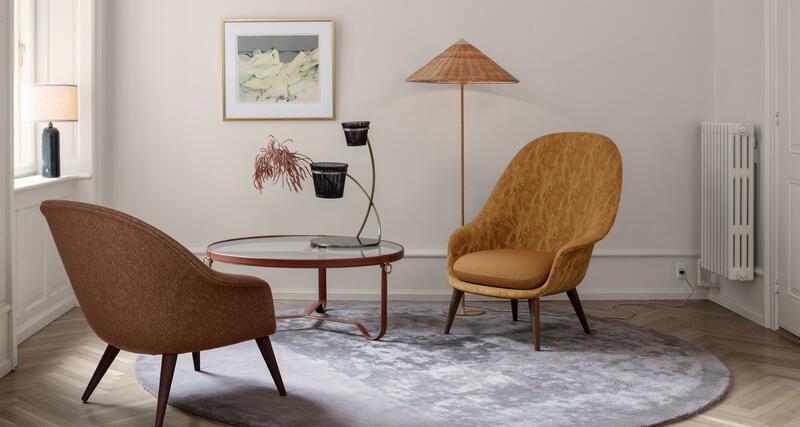 The new Gubi Bat Lounge Chair carries strong references to the interesting characteristics of bats, with its inviting, distinctive shell reminiscent of the shape of a bat’s wingspan. Balancing between the traditional and surprising, the Bat Lounge Chair - Fully Upholstered, Low Back, Wood Base is created with a Scandinavian approach to crafts, simplicity and functionalism. Also available with a high back.